The trailer for The Greatest Showman goes out of its way to convince you that it’s not a musical, and that it is, in fact, an uplifting let’s-do-the-show-right-here biopic of 19th century circus impresario P.T. Barnum. However, a musical it most emphatically is, while its biographical details have received something of a revisionist tweak. 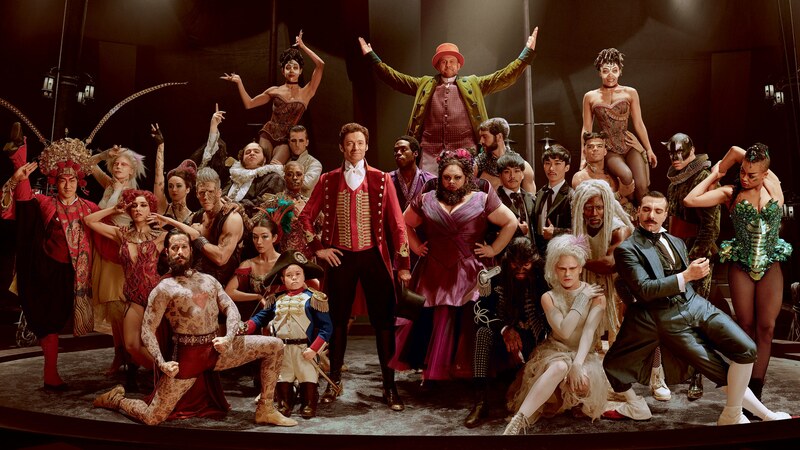 The feature debut of Australian director Michael Gracey (who has a background in commercials and music videos), The Greatest Showman stars Hugh Jackman as Phineas Taylor Barnum, a dreamer from an impoverished background who’s determined to make a name for himself. After marrying childhood sweetheart Charity (Michelle Williams) against her wealthy parents’ wishes, Phineas swindles himself a bank loan and opens a Museum of Oddities in New York, recruiting the likes of bearded lady Lettie Lutz (Keala Settle), diminutive Tom Thumb (Sam Humphrey) and mixed-race trapeze artist Anne Wheeler (Zendaya).